Mmm, you shoulda tasted my Grandma. And now you can, with Homemade Black Rapberry Jam! A real grandma in every jar! 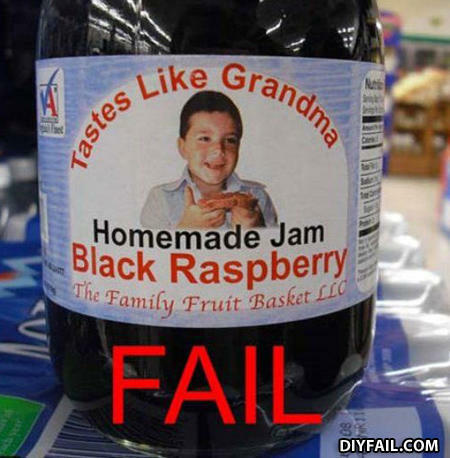 Taste like grandma, by the way, ¿Where is Grandma?........ OH MY GOD, STOP THE MACHINE!!!! "Does this jam taste old to you?" Now includes 2 full ounces of Soylent Green! that kid is the big bad wolf in disguise i just know it! I love the taste of grandma in the morning. That's right, this jam tastes like stale urine and mothballs. Q: What happens when you divide by zero. A: You get a complex kind of infinite.